InventoryAPI by Erply is a powerful backend for web shops, and more. Building POS or shopping cart solution? Check out calculateShoppingCart – calculateShoppingCart calculates the value of a shopping cart or current sale, and automatically applies discounts, promotions and taxes. You only need to input item IDs and quantities. 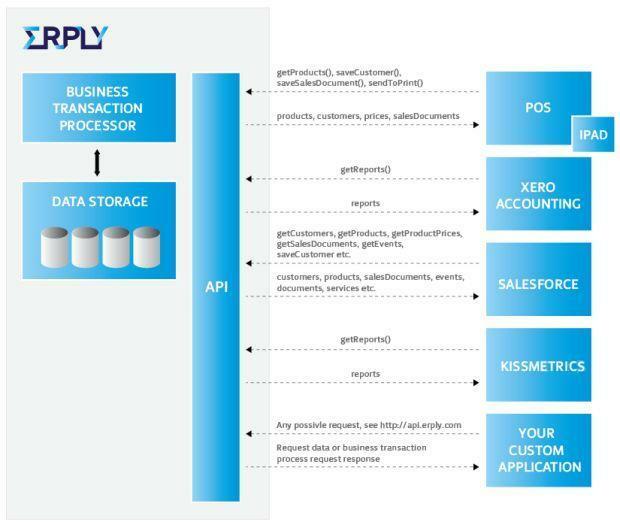 InventoryAPI by Erply is the easy way to build CRM or sales applications, web shops, product catalogues, POS clients, reporting tools, production management systems etc. — using a solid, scalable and full-featured cloud based inventory back-end. 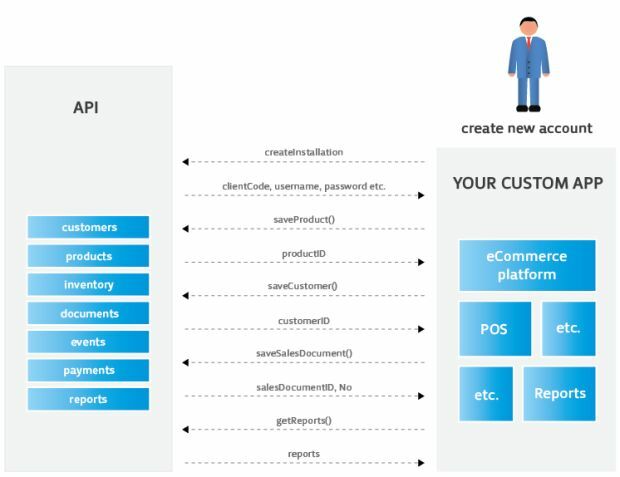 The API enables querying customer registry, making a sale, registering a payment, browsing inventory, querying and applying price lists, creating events in the calendar, using the document repository and much, much more. Complex e-Commerce solutions. Product listings, advanced search, related media (images, user guides, manuals, drivers and software). Ordering and billing. Customer login, lists of previous orders and their statuses, customized price lists. A simple iPOS solution. Product quicklists, special pricelists, receipt printing, PDF invoice by e-mail. Inventory management. Stocktaking over multiple warehouses, using portable barcode readers / data collecting devices. Customer support. Customer ticket system where a customer can post a ticket over phone and receive SMS alerts when ticket status has changed. Document repository. Different workflows for various document types, document forwarding, resolutions and responsibilities, notifications about contract deadlines. Different access rights for company users; limited access for customers to see their own files. Customer feedback. Ask customer feedback about a product or service. Customer can push a button on the shop counter to express satisfaction with the service. Sales and product promotion. Online real-time sales reports; use LCD screens to promote new products and special offers. Reporting and analysis. Display daily sales figures or comparison between salespersons at the office on LCD screen. Get online information from all sales locations. A CRM / helpdesk solution, integrated with VoIP phone system (incoming call automatically opens customer history). Integration with e-commerce platforms like Magento, Joomla, PrestaShop, Shopify etc.